Tales from the Real OC (Really! ): A Special Announcement About ECHO!! A Special Announcement About ECHO!! 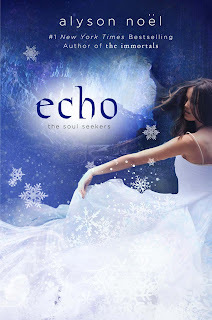 In just one week from today, book 2 in THE SOUL SEEKERSseries, ECHO, will be in stores, and I couldn’t be more excited! Partly because it’s always exciting when a new book is dropped into the world, but mostly because this time around we’re giving you choices! Which means, right from the start, you get to choose your preferred reading format. No longer will you have to wait an entire year for the paperback version, because we’ve decided to release it the same day as the hardcover, e-reader, and audio versions! Oh, and just to sweeten the pot, we’ve also decided to release the FATED trade paperback version on the same day as well! It’s like having 5 books dropped into the world simultaneously! Or at least 5 versions, anyway. You can pre-order the books in your preferred format, here, here, here and here! 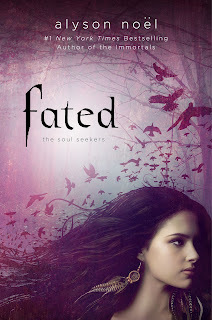 Visit www.soulseekersseries.com for a complete list of retailers. Or, if you prefer to pick up your copy in an up close and personal way, and your preferred format is not immediately available, simply ask the bookseller to order you a copy in the format of choice. Yep, it’s truly that easy! I really hope you’ll enjoy reading ECHO (in the format of your choice!) as much as I enjoyed writing it! This is probably some of the most exciting news I've heard this year! I've been waiting for Fated to come out in Paperback so I could read it, and now I don't have to wait the extra year to read the sequal! :) Christmas came early! ECHO in Stores Tomorrow, Tues., Nov. 13!!! ECHO Trailer, Contests and More! Thank You for an Amazing Tour!! !